Nene Raju Nene Mantri starring Rana Daggubati and Kajal Aggarwal is hitting the screens on August 11, 2017. Rana Daggubati and Kajal Aggarwal starrer Nene Raju Nene Mantri is hitting the big screens worldwide on August 11th, 2017 and the lead actors are going all out to promote the film in the Telugu states. 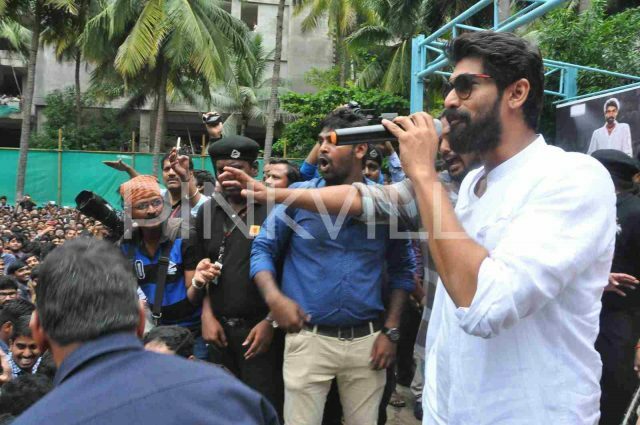 Rana and Kajal were in Vijayawada today to promote the film, and visited the popular Trendset Mall and the K L University in the town. Fans of both these actors erupted in joy when they saw their favourite stars come to their town. 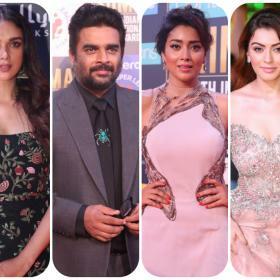 Rana Daggubati and Kajal Aggarwal interacted with their fans at these locations in Vijayawada which saw a huge crown turn up and make it a huge success. The crowd consisted mostly of college going boys and girls, and they were seen having a great time. Accompanying Rana and Kajal was Rana’s younger brother Abhiram Daggubati who is managing the production works of the film. Rana Daggubati is all set to enthral the audience as an aspiring politician in his upcoming film Nene Raju Nene Mantri. The film is being directed by Teja and the gorgeous Kajal Aggarwal plays Rana‘s wife in this political drama. Good luck Rana. I hope it works big time for you.